Transforming the teachings he learned under the mentorship of the late Dr. Robert Atkins, Dr. John P. Salerno delivers the traditional Atkins diet in a way that is accessible, adaptable and easy to follow. Salerno’s take on Atkins is perfectly suited for the modern, health conscious reader. Fight Fat With Fat offers a guided step-by-step plan to help you eat well, not only to lose weight—but to feel great, without endlessly counting calories! The book includes simple-ingredient recipes that the whole family can enjoy—no “special” meals—including decadent desserts! The short and to-the-point patient testimonials prove that low-carb, nutritious diets really work! 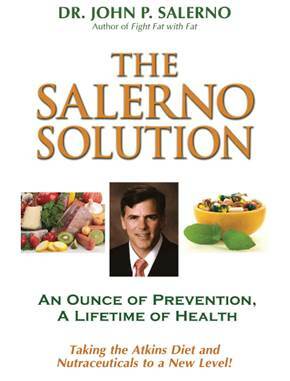 In The Salerno Solution, Salerno offers a more in-depth guide to nutrition, food, and what our bodies need to remain healthy and fit—for those looking to understand the complexities of how food affects our health and weight. 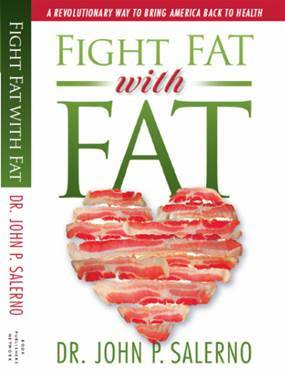 Salerno’s book is informative without sounding like a dull textbook on nutrition. The book is packed with tips not only on how to maintain a healthy weight, but to prevent heart disease, cancer, and stroke with the power of a healthy diet. The extensive glossary lets you flip to the exact passage you want more information on, and provides all of Dr. Salerno’s sources, for further reading.